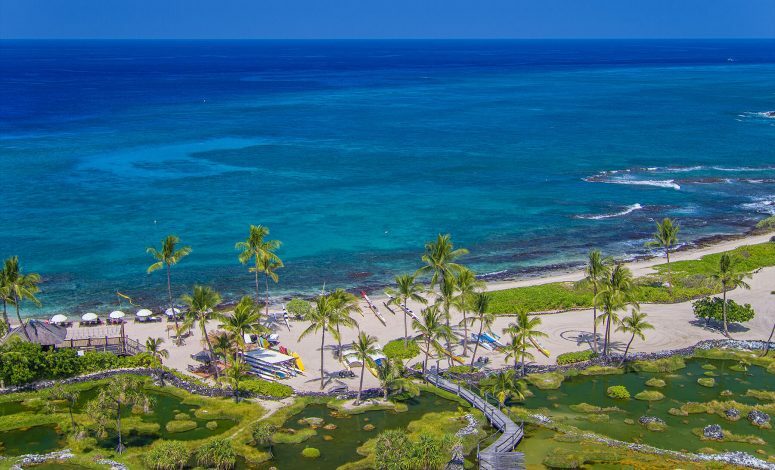 Nothing is average about a Big Island resort. It’s a far cry from the picture of an average tourist trip to Hawaii that one may call to mind: a highly-populated Honolulu beach, fruity cocktails and a bed of seafood, and some flower lei. Big Island belongs to the Seven Wonders of the World as far as luxurious destinations go: it’s the billionaire’s dreams coming to life, taking all forms of tropical pleasure and exclusivity imaginable. The largest, highest and youngest in the Hawaiian Archipelago, the Big Island is hugged by two mountains over 13,000 feet (4 km) and boasting of twice the land mass of all other islands combined. It is home to diverse natural landscapes, mild and near-perfect weather, and an endless array of recreational persuasions, including a myriad of water sports, biking and hiking trails, championship golf courses, and world-class spa and fitness facilities. Mediocrity has no place in the Big Island’s resort and hospitality industry. On the 2016 U.S. News and World Report’s Best Hotels ranking, for instance, Four Seasons Resort Hualalai by the Kona Coast emerged as the only Hawaii hotel out of the top five in the United States. It also topped the same survey’s top Hawaii hotels, trailed by Halekulani in Honolulu and Four Seasons Resort Maui at Wailea. But one need not go further than Big Island’s massive exclusivity to unravel its singular appeal. The island is chock-full of restricted communities, where there’s a private flying club dubbed the “Kona Shuttle” and gates don’t open to unexpected guests. Kukio, the crowning gem of the alluring Kona Coast, is a 1,100 acre (4,047 sq.meters / .40 hectare ) oceanfront parcel that exudes no less than an exclusive private resort aura. It’s the playground of the ultra-wealthy all right, as Forbes reported. Hedge fund Citadel founder Ken Griffin owns a $17 million (USD) Balinese-style residence alongside a separate $13 million (USD) property, while Silicon Valley capitalist Bandel Carano has a 14,680 sq.ft. (1,364 sq. meters) home with seven bedrooms and 11 baths. Not too far, legendary tycoon Warren Buffet’s sister, Bertie, keeps a $17.3 million (USD) home that overlooks the Jack Nicklaus-designed Hualalai Golf Course. In Big Island resorts and residences, the wonderful mountain or ocean views are unobstructed, and the possibilities are endless. One will realize that it’s no cliché once a taste of this paradise presents itself – with the right price and connections.